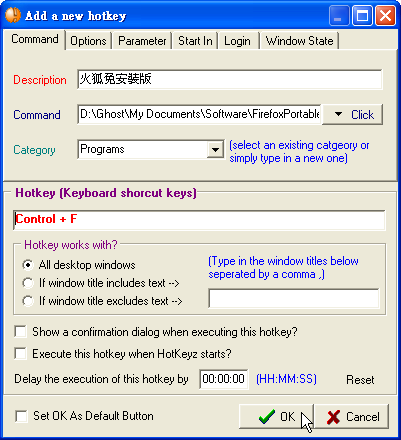 HotKeyz is a keyboard utility with hotkey control for executing other files, folders or RUN commands. Launch applications in a Normal, Minimized or Maximized State. 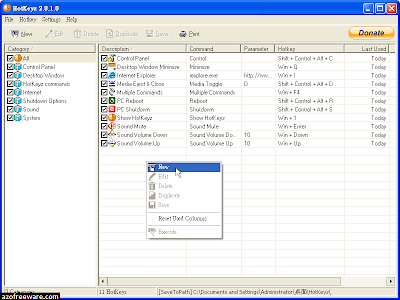 The Parameter option gives you parameter control when launching another application like Internet Explorer and surfing to a specific site as parameter. 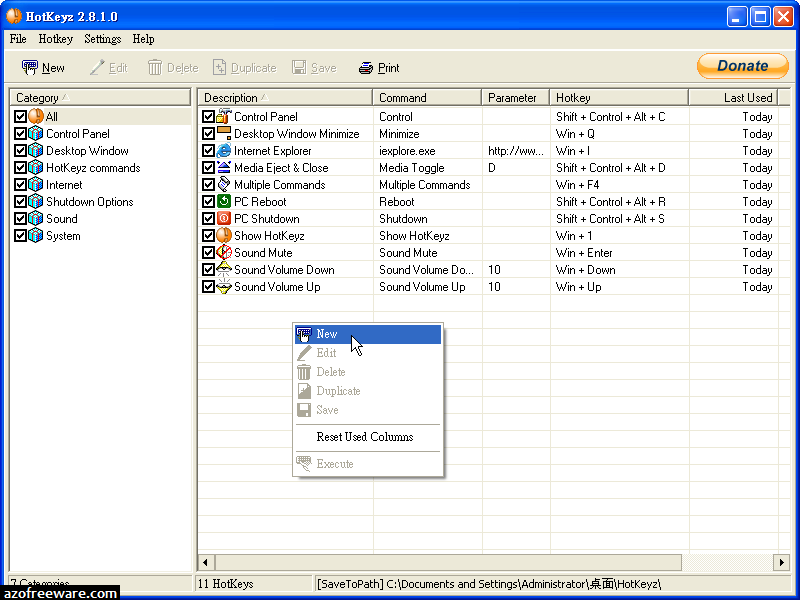 For example (iexplore.exe) with the parameter (www.skynergy.com).